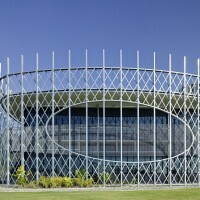 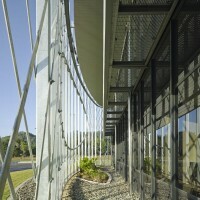 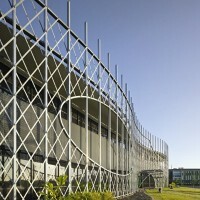 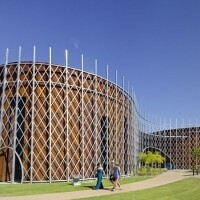 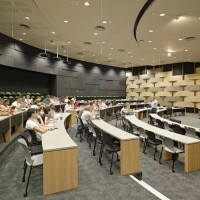 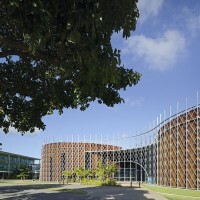 Woods Bagot in collaboration with RPA Architects have designed The Cairns Institute in Townsville, Australia. 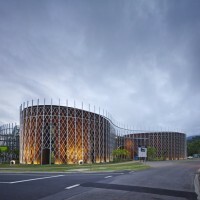 The Woods Bagot design team, in collaboration with RPA Architects, designed a building that represents its place and its context in a new and exciting way. 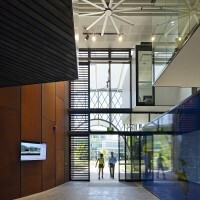 Attracting the best researchers was the central aim of the university, so it was crucial that the proposed building will create an environment that optimises the working experience so people love engaging with the building. 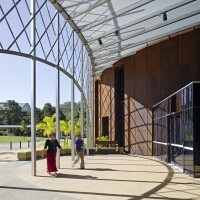 Intrinsic to the design is a celebration of the rainforest setting and enrichment of the place experience. 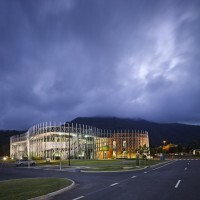 An evolving landscape skin, a ‘trellis’, defines the building, offering aesthetics and sun control, while a variety of micro climate ecologies around the building have been created. 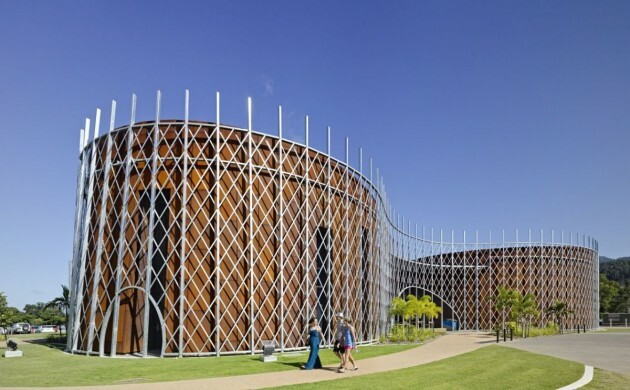 The design assists in minimising running costs for the university whilst contributing to the quality of the environment, in line with the university’s aspirations to achieve a sustainable outcome for the building.